Salvatore Litrico - American Patriot Holdings, LLC. Mr. Litrico has been named CEO for APCT, and is an member of the APH Executive Management Team. Mr. Litrico graduated from the State University of New York Maritime College in 1977, with Bachelor of Science Degree in Marine Transportation Management, a commission as Ensign in U.S. Navy, a license as Third Mate Oceans Unlimited Tonnage, and a Master’s license for 1600 GRT Vessels. Upon graduation, he sailed in various licensed deck officer positions, including Master, with American Export Lines and Interstate & Ocean Transport until 1983, when he moved to Tampa to join the shore staff of Maritrans as Port Captain. He held numerous professional, management and executive positions in Safety and Vessel Operations. Mr. Litrico became Vice President of Maritrans in 1990. 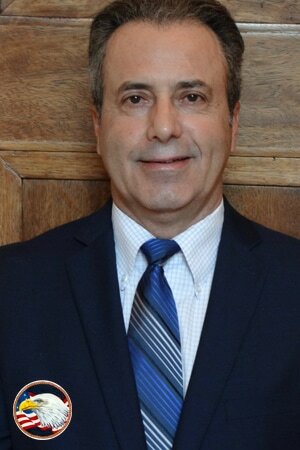 Mr. Litrico became Vice President of TECO Transport in 1994 responsible for the operations and company financial performance. In 2004, he became President and Chief Operating Officer of TECO Transport, later selling the fleet to United Maritime Group. He became President and Chief Executive Officer for the United Maritime Group with management responsibility for three distinct operating fleets. In 2010, Mr. Litrico retired from the United Maritime Group and formed Charlie Echo Group in Tampa Florida. He now works as a subject matter expert and consultant for Business Development, leadership training, risk management and litigation support. In 2014, Mr. Litrico and APH agreed to terms for him to head up APCT and is leading this project with PPHTD. Mr. Litrico has been active in the maritime business over his career with such honors as being appointed by the Governor or Florida as Chairman of the Tampa Bay Harbor Safety and Security Commission, being appointed to the Federal Towing Safety Advisory Committee, being a member of the American Waterway operators and the Waterways Council, a member of Chamber of Commerce, a Board member of the National Cargo Bureau, a trustee of the Seaman’s Church institute and currently serving as President of the United Cerebral Palsy of Tampa.